From the year 2005, gold prices moved ~91% upwards in the 1st 5 years and a mere ~36% in the following 5 years. It has been gradually losing its sheen as it has shed 12% in the last 2 years. Bullion’s time-honoured appeal as a s afe haven sent the price to Rs.35,074/- per 10 gms but has thereafter crashed ~30% in absolute terms. Global demand for gold has dipped by 1%. Whereas supply has remained constant leading to a fall in prices. World Jewellery demand has dropped by 3%. Inflows into ETFs have increased by 4% y-o-y which indicates a movement away from physical gold. The global demand for gold bars and coins has dropped by 4% and 30% y-o-y respectively as of March 2015. In India, demand for gold as an investment is down to a 6 year low. Gold demand in electronic devices is down 2% in the 1st quarter ended March 2015. Demand in dental industry has dropped nearly 11%. The mining Production grew by 2% y-o-y adding to the supply. 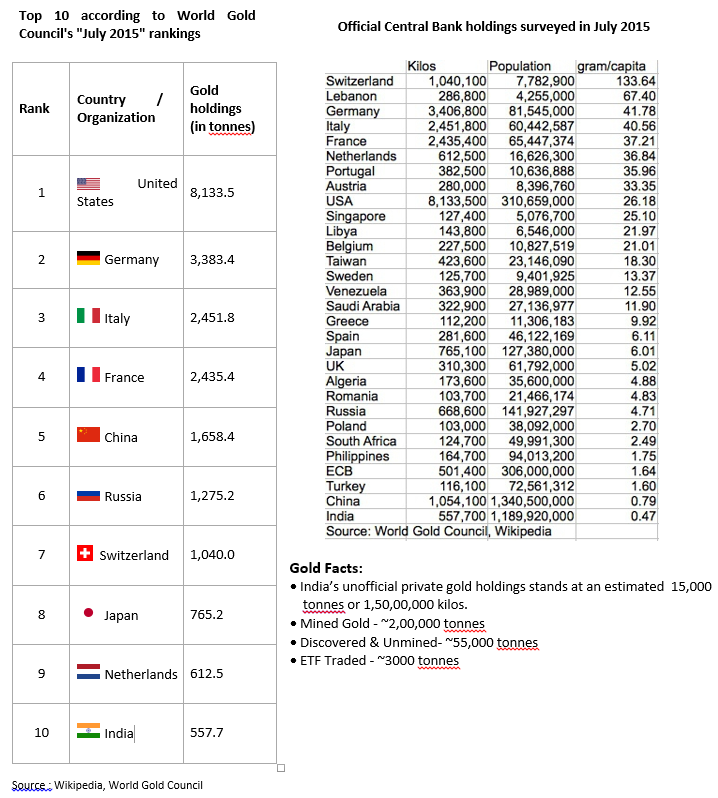 Stocking by Central Banks- Central banks hold ~20% of all the gold that has ever been mined. As the Banks increase their holdings, the prices of gold move upwards. Recently, the Central Banks have kept their Gold holdings constant. Inflation hedge– Rightly or not, gold is widely viewed as aninflationhedge — a reliable measure of protection against purchasing power The precious metal may not be the best option for that purpose, though. Some gold investors fail to consider its volatility as well as its opportunity cost, while others fail to anticipate storage needs and other logistical complexities of gold ownership. Global inflation is moving downwards, hence investors are moving away from gold. Dollar r elation – In 2008, the International Monetary Fund (or IMF) estimated that 40–50% of the moves in the gold prices were dollar-related. A 1% change in the effective external value of the U.S. dollar led to more than a 1% inverse change in gold prices. This inverse relationship isn’t as precise. The inverse relationship remains because: A falling dollar increases the value of other countries’ currencies. This increases the demand for commodities including gold. It also increases the prices. When the U.S. dollar starts to lose its value, investors look for alternative investment sources to store value. Gold is an alternative. Higher real interest rates raise the opportunity cost for investors holding gold. Hence with the expectations of an increase in US interest rates, investors are moving to better investment opportunities. Oil connection – The main idea behind the gold-oil relation is the one which suggests that prices of crude oil partly account for Increases in the price of oil result in increased prices of gasoline which is derived from oil. If gasoline is more expensive, than it’s more costly to transport goods and their prices go up. The final result is an increased price level – in other words, inflation. The second part of the causal link is the fact that precious metals tend to appreciate with inflation rising (in the current – flat – monetary environment). 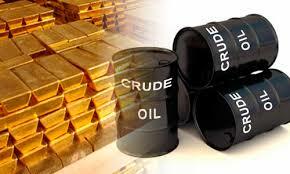 So, an increase in the price of crude oil can, eventually, translate into higher precious metals prices. Custom Duty– The Customs Duty on gold was 10% in India in March 2015. As the duty decreases, the demand for gold increases. Next Next post: THE DRAGON BREATHES FIRE!